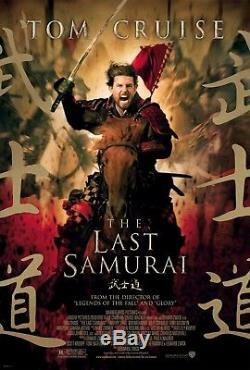 SWORD FROM THE 2003 MOVIE THE LAST SAMURAI WITH TOM CRUISE. 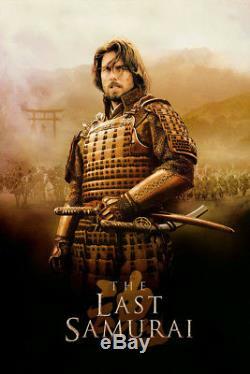 Nathan Algren (Tom Cruise) is an American military officer hired by the Emperor of Japan to train the country's first army in the art of modern warfare. As the government attempts to eradicate the ancient Samurai warrior class in preparation for more Westernized and trade-friendly policies, Al. Gren finds himself unexpectedly affected by his encounters with the Samurai, which places him at the center of a struggle between two eras and two worlds. 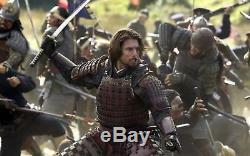 Offered here is a beautifully made prop samurai sword used in the great movie The Last Samurai! These props are virtually impossible to find! 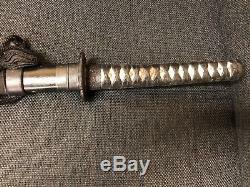 Extremely well made and quite rare - has the feel of the samurai age! 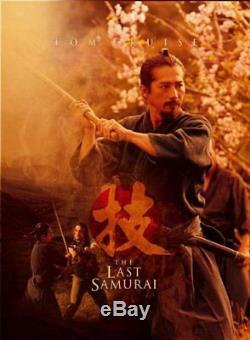 IT STATES, THIS SWORD WAS USED IN THE FILM BY ONE OF THE FOREGROUND ACTORS PLAYING A SAMURAI. THE BLAD IS MADE OF AIRCRAFT GRADE ALUMINUM AND HAND CUT AND SHAPED BY TONY SWATTON, OWNER OF THE SWORD AND THE STONE IN BURBANK, CALIFORNIA. THE REST OF THE SWORD WAS MADE BY THE WETA WORKSHOP IN NEW ZEALAND WHERE THE FILM WAS SHOT. GREAT ADDITION TO YOUR COLLECTION. See our About Me page for more information about these auctions. 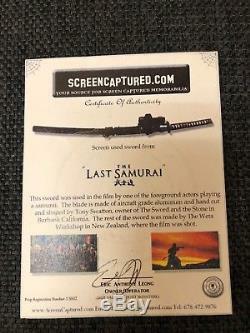 The item "REAL PROP SWORD FROM THE LAST SAMURAI MOVIE STARRING TOM CRUISE With COA" is in sale since Wednesday, January 2, 2019. This item is in the category "Entertainment Memorabilia\Movie Memorabilia\Props\Originals". The seller is "official*pamela" and is located in Dallas, Texas.